They stuffed it with other items I purchased and now the broom part is sad looking. The handle is pretty short also. This broom is a complete disappointment. It is made of a few branches and a few pine needles. It was falling apart coming out of the box. Don't waste your money. The broom came in a reasonable amount of time and looks great! 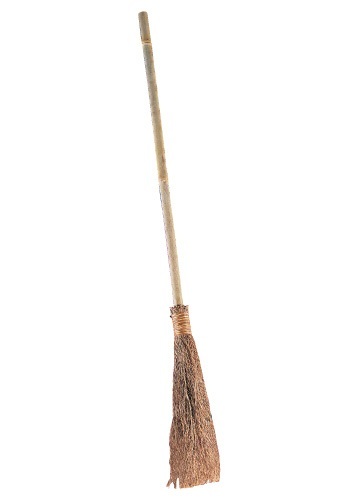 A perfect broom for a liitle girl witch costume. The little "straw" like pieces on the bottom of the broom will fall out if broom is played with like a toy. Keep it as a Halloween prop and you are in good shape! 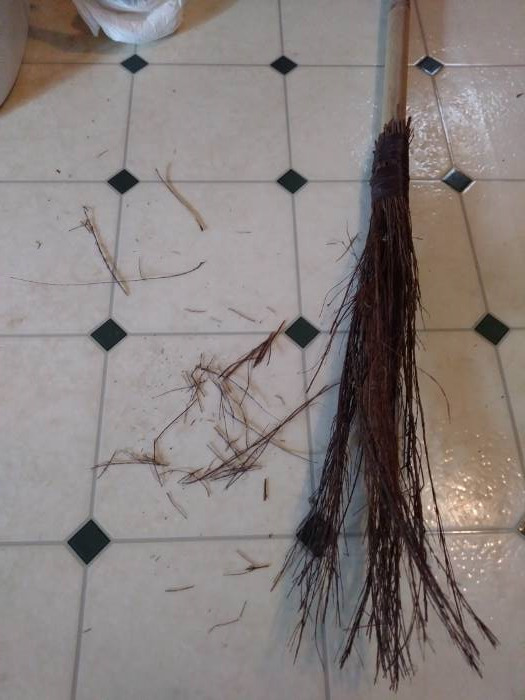 The broom is a cute prop, but the straw falls out constantly and making a mess indoors. Would be fine if it were only to be used outdoors. There are hardly any "bristles" on the broom. It is a cheap looking bamboo stick with a small bundle of twigs tied to the bottom of it. I bought this for my 7 yr old. It was the perfect size.